Image•	Posted on June 5, 2017 June 5, 2017 by Dayna Jacobs - "On Granny's Trail"
Posted on April 22, 2014 April 6, 2014 by Dayna Jacobs - "On Granny's Trail"
U. S. Army Camp Hospital No. 45, Aix-les-Bains, France. 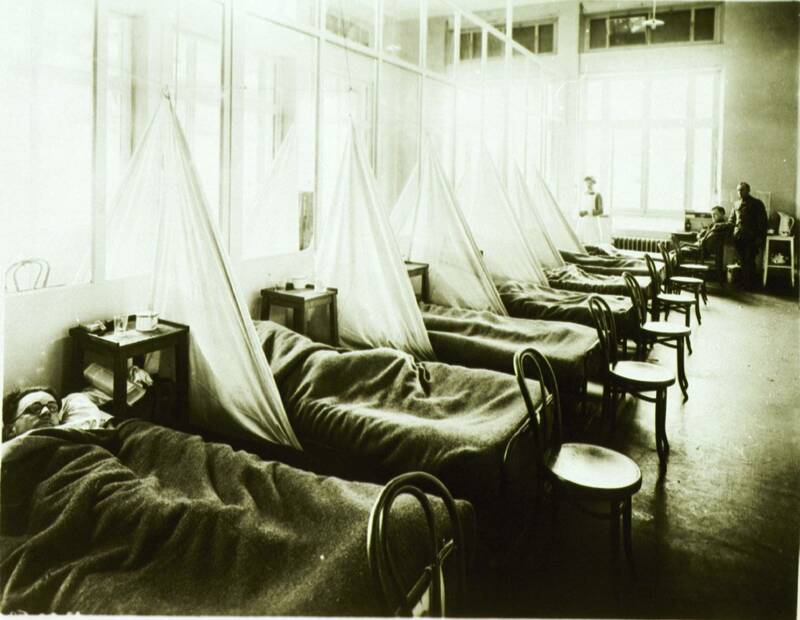 Influenza ward No. 1. [This is 13th in a series of letters written by Private A.L. Gooch to his family in Duncan Arizona, while a part of the American Occupation Forces in Germany after WWI. This letter was written 27 Dec 1918, and it appears Pvt. Gooch has fallen victim to the great flu pandemic of 1918-1919. This pandemic is estimated to have killed an estimated 50 million people—a fifth of the world’s population. To put this further in perspective, WWI had 37.5 million casualties, including 8.5 million deaths, which is an incredible number, but 6 times as many people died of the flu in 1918-1919. It is said that the virus struck so fast and so violently a person could be stricken and die within hours. [p3] well or not for this isnt/ a bad place to stay. All I hate I am afraid I wont/ get fat again before I/ go home. ha, ha. Well this is quite a town/ heare. I can hear the street-/ cars and the trains every/ day. it seams almost real/ again. Will send you a card or two. Well, there is not much news/ We’ll be home some time sure. 89th Military Police Co. American E.F.
Posted on April 16, 2014 February 4, 2015 by Dayna Jacobs - "On Granny's Trail"
[This is 12th in a series of letters written by Private A.L. 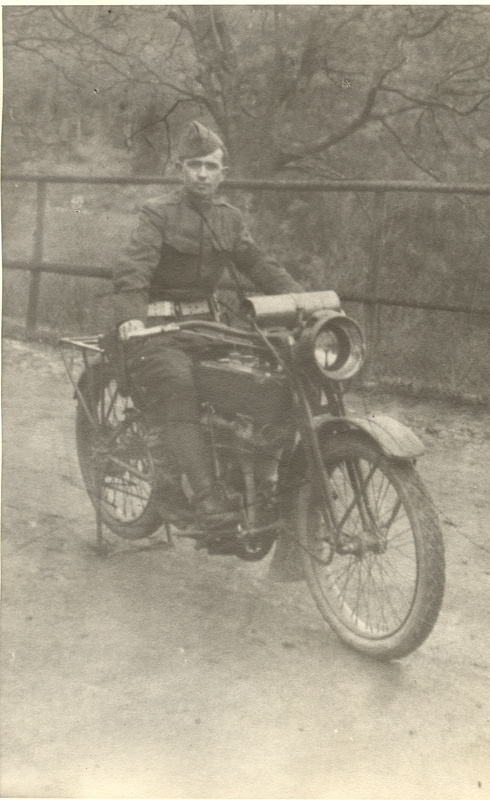 Gooch to his family in Duncan Arizona, while he served in France during WWI. This letter was written sometime in 1918, but is otherwise undated.